OLF Elementary Participates in Academic Competition for Excellence. 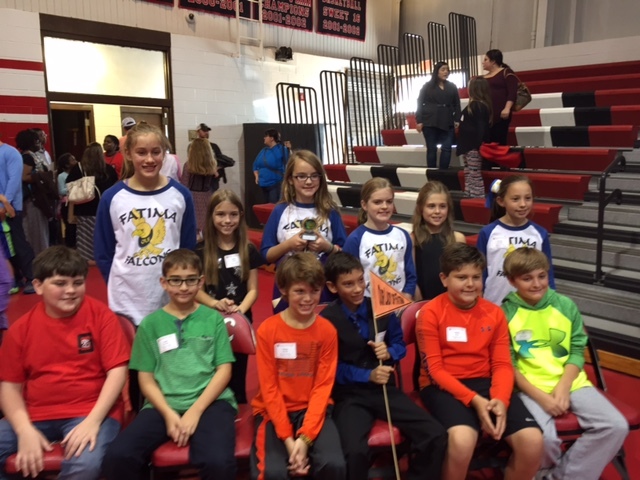 Our Lady of Fatima Elementary sent twelve students to participate in the twenty-fifth annual Saint Stanislaus Academic Competition for Excellence (A.C.E.). This academic competition was held on the campus of Saint Stanislaus in Bay St. Louis, Mississippi, on November 12, 2016. The event was host to over 400 students from the 5th, 6th, and 7th grades, each participating in one of four subject areas of: Language Arts, Mathematics, Science, and Social Studies. The students represented 38 schools from throughout South Mississippi. Trophies were awarded to the 1st, 2nd, and 3rd place finishers and ribbons were awarded to students receiving Honorable Mention. After the individual testing, a team trivia contest was held between the schools and trophies were awarded to the top three schools. 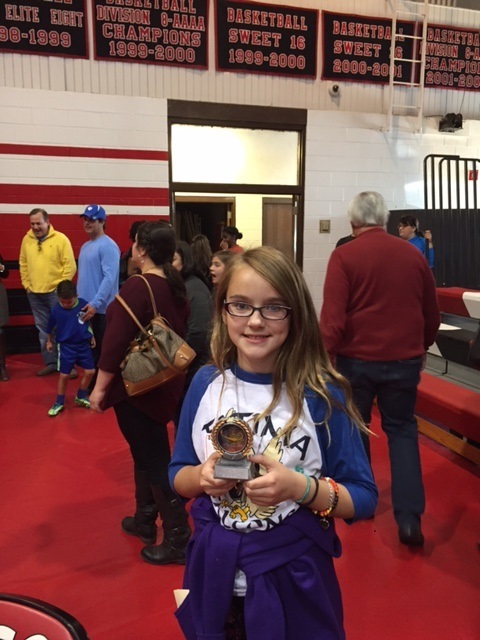 Congratulations to OLF student Sarah Vyverberg who captured 3rd place in 6th grade science. Other participants from OLF Elementary included 6th graders Caroline Dellenger, Caden Demers, Luke Deroche, Shane Dohrer, Kate Massey, and 5th graders Julia Guice, Taylor Jerrnigan, Kate Mandal, Jake Schaar, Nolan Schruff, and Heith Shinn. Sarah Vyverberg captures 3rd place in 6th grade science.